Molo Rubertha T-Shirt - Refinery Clothing Co.
Lovely grey t-shirt in a blend of cupro and jersey. 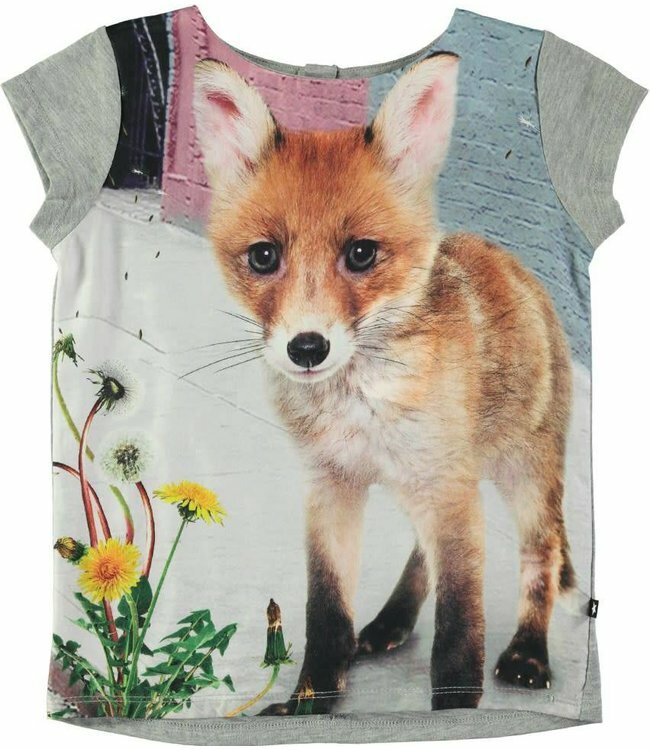 There is a digital fox print on the front and a zipper at the back neck. Fits true to size.